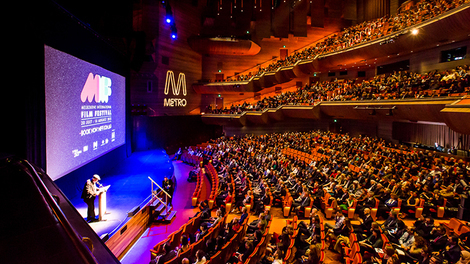 Representatives from Film London, the UK capital's screen industries agency, will travel down under this week to attend the 2018 Melbourne International Film Festival. Their mission: to sustain and develop business and cultural links between the two great cities. Adrian Wootton OBE, Chief Executive of Film London and the British Film Commission, will participate in the Shorts: Calling card or artform seminar on 8 August as part of the MIFF 37ºSouth Market &Accelerator Lab, which focuses on both the business and creative sides of the film industry. He will offer insight and expertise based on his experience as a programmer, curator and the force behind Film London's successful London Calling short film initiative for new and emerging filmmakers. Wootton will also explore the social and cultural impact of some of the silver screen's biggest stars as part of the Accelerator Lab via a series of illustrated talks entitled'Tinseltown Trailblazers'. The talks will take place from 6-9 August and explore the on- and off-screen influence of Marlon Brando, Tony Curtis, Audrey Hepburn and Sidney Poitier. On Tuesday 7 August, Wootton will be a guest at a special MIFF 2018 industry dinner, hosted by Her Excellency the Honourable Linda Dessau AC Governor of Victoria and Mr Anthony Howard QC at Government House. Helena Mackenzie, Film London's Head of Inward Investment and Business Development, will also attend this year's MIFF as part of a successful ongoing partnership with the Festival's 37ºSouth Market. Mackenzie will be identifying suitable Australian projects for this year's Production Finance Market - Film London's high-impact 'speed dating' event which matches producers in search of funding with international financiers in order to get exciting new projects off the ground. This year's Production Finance Market takes place from 16-17 October 2018. Adrian Wootton OBE, Chief Executive of Film London and the British Film Commission, said: "It's always a pleasure to attend MIFF, both for its excellent, exciting programming and the opportunity it affords to connect and engage with so many colleagues, peers and partners from across the industry. As we've come to expect, the MIFF team have pulled out all the stops for this year's festival, and I'm particularly looking forward tomeeting emerging filmmakers, sharing Film London's experience when it comes to supporting new talent and celebrating the lives and careers of four performers with the loyal and enthusiastic audiences that regularly attend my talks."